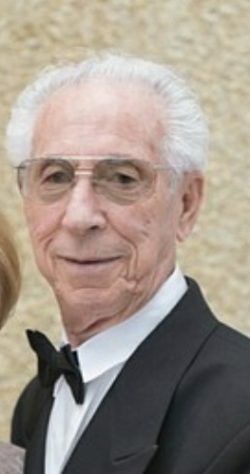 Schwartz Harry, passed away on Wednesday June 6th at Baycrest Center. Beloved & devoted husband of Helen, loving father to Sharon, Eugene, Joey, Monica, Chari & Irwin. Adored grandfather to Ryan, Sarah, Stephanie, Ben, Corey, Taryn, Cally, Mark, Marissa, Luca, Jessica, Simone & Zack. Honoured Great Grandfather to Peyton, Nash, Charlie & Edison. Memorial donations in Harry’s memory may be made to The Association for the Soldiers of Israel 416-783-3053. Shiva Details: Visitation daily from 1-4 p.m. and 7-9 p.m. concluding Tuesday, June 12 in the evening. Time of Services: Evening: 7:15 p.m.
My deepest Condolences to Steph and her family. Sending love to the family. Dear Sharon & family, we are very sorry to hear of the loss of your dear father. Our sincere condolences to your family. My heartfelt condolences to all of you on the loss of your dear husband, father and grandfather. May your wonderful memories help you thru this very sad time. Dear Irwin and Family. Our deepest condolences from the Arama family. Dear Joey, From the Sherman family - our sincere condolences to you and your family on the loss of your father. We will always remember Harry as such a warm and kind gentleman. Dear Sharon, Joey, and Irwin, Very sorry for your loss. Your parents are remarkable people. I am sure each of you will carry then both in your hearts for a lifetime. May you find peace in knowing you gave them so much nachos. I myself have many fond memories. Dear Helen and family: So sorry to hear of Harry's passing.My thoughts and prayers are with you all at this difficult time.May your good memories sustain you in the days ahead. He was a Mensch.! Dear Helen and Family. My deepest sympathy to you all from the bottom of my heart. My late husband and I have known both of you for a lmg time. The late Rhoda and Max also were very close to both of u. May the memories of your long life together keep Harry in ur heat. May he rest in piece. Susan Norden. Irwin our deepest sympathies to you and your family in these difficult times. May the days ahead be filled with good memories and good times. Joey, So sorry to hear about the passing of your Father. Wishing you and your family all the best in this difficult time! BDE. Sorry for your loss. Irwin Shelley and I want to send you and your family our condolences. So sorry for your loss. May his memory be a blessed one.